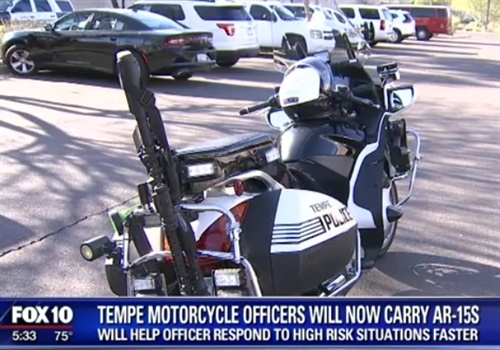 Tempe, AZ, police say eight of the department's motorcycles have been equipped with AR-15 carbines to provide officers with more firepower should they need it, reports the Associated Press. Police Sgt. Ronald Elcock says motorcycle officers can respond quickly to calls and are often the first officers to arrive at a crime scene. He says the assault weapons provide added security to ensure the officers are not outgunned by suspects.